It is time to ring in the new year and what a better way to ring in the new year then with All Hail King Julien a DreamWorks animation on Netflix. It's a totally original, totally hilarious and totally insane new series that debuts with five brand-new episodes and the even better part they all star King Julien. 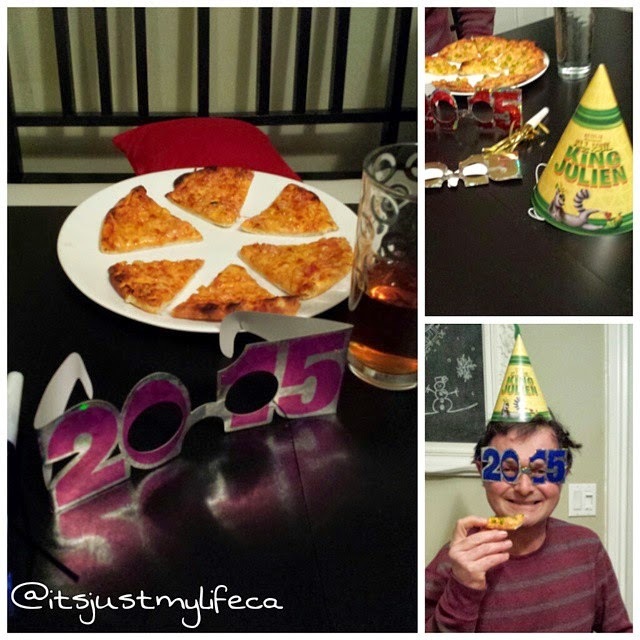 We decorated the house put on our glasses blew up balloons and enjoyed some awesome pizza ringing in the new year with King Julien. I am happy to say that we all were able to stay up until midnight to truly ring the new year in in fashion! Wishing all of you a very happy new year and all the best in 2015.